Ahhh…being in a ceramics studio…there’s nothing quite like it! I spent a lot of time in the ceramics building in college, and I really, really miss getting my hands dirty. In July, I visited my sister in Lancaster, PA. On a whim, we decided to walk around downtown. I was impressed by one street that had nothing but cool, little art gallleries, but everything was closed. Eventually, we ended up at The Pottery Works! We had a blast. I didn’t get to use any clay, but I selected a pre-fired owl bank — an upcoming present for my daughter’s first Christmas. Inside, I felt like I was back in my element — studying the different glaze options, giving tips to my sister (who glazed a food dish for my nephew-kitty), and cleaning up my tools at the end. I chose a glaze that would change its appearance once it was fired. It would have flecks of copper amongst the dark browns and gold. I had to put four layers on, and leave it at the studio until they could fire the kiln. My sister picked it up a week later, and sent it to me. I’m really happy! It turned out exactly as I imagined. It’s nice to be slightly ahead for Christmas presents, too — it’s simple, yet semi-handmade. If you don’t know me, I’m a huge Beatles fan. If you do, then you know that’s an understatement (seriously…you have no idea). Now that we’re all friends, you can imagine how excited I was to get a wholesale order from Grassroots with some new design requests — I was finally getting a chance to make those John Lennon and Paul McCartney Celeb Spoons that have been in my brain for forever! Then, it happened. I started laughing to myself. This is not something new. It happens all. the. time. Yep. I pictured that in my head and decided to go with it. I’m even laughing a little now (yes, out loud. lol.). It’s in reference to a non-recent argument about whose name should come first on the Beatles songs that John and Paul wrote together. Historically, Lennon/McCartney is what you get. Paul challenged that a few years back, and I’m not sure what the outcome was (if you feel like googling it, feel free to let me know what happened in the comments). For another dose of giggling, here’s this. I couldn’t handle it. What makes you laugh? What stupid thoughts have you rolled with, just to share with others? Let me know — I could use another laugh! CustomMade.com — My Profile is Up! Without even posting about it, I’ve already had a few buyers contact me about various wooden spoon portraits. I hope the projects go through, because they’d be a lot of fun. I also revamped the old website, thetreehouseillustrator.com, which was nice, since the old version was a grad-level homework project from 2008. It’s simply a landing page, at this point — with links to pages like this one! Believe it or not, now that I’ve got two small kids at home during the day, I manage to get a LOT more done than I used to. I think it’s because I’m lucky: They take naps at the same time. And, I take advantage of that time with much more efficiency than before. Today, for example, I worked in my art studio. It’s a bleak room in our unfinished basement. My husband hung my bulletin board (keeps source materials organized during projects) and Klaus Voormann print (inspiration never hurts). I also tackled my packaging supplies. They were piled high in my son’s wagon. Now, everything’s in its rightful place, and my son will be able to take a ride — once the weather clears up. I always feel so much lighter and unburdened when I get things organized! I’ve set up a photo album over at my facebook page for the shop. It’s got photos of kids using my products. If you’ve bought something from me, thank you — I’d love to add your pic to my album. Please take and send one to me. It doesn’t have to be of a kid. I’m setting up an additional ‘products-in-use’ album, too. Ps – Not all of them are of Liam. 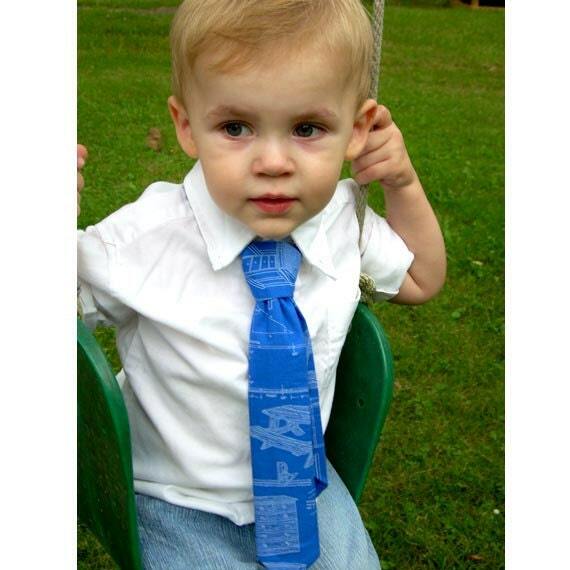 Treehouse Kids using my Products! 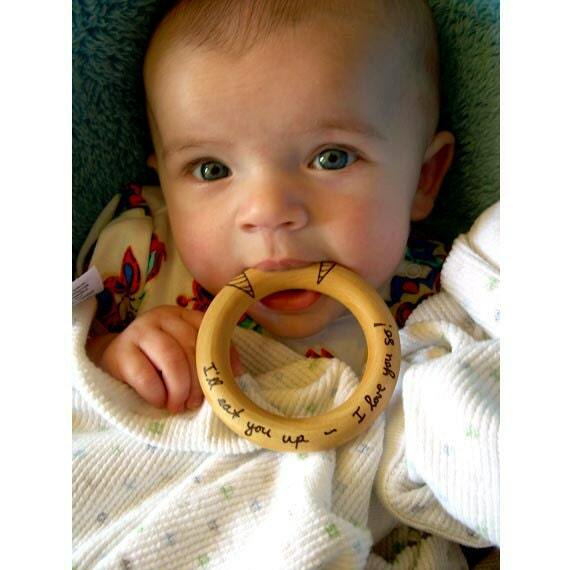 Lord of the Rings Teether — in Elvish! Oh my — SO much has happened since the last posting (which was in October…it’s now February). 1 – My shop survived, and thrived during, the Christmas season! 2 – Lots of new products — like celebrity spoons and ornaments. 3 – Haffey #5 arrived January 18th — Sarah Brynn Haffey. The bean. I don’t know if I’ll ever post about all of those things or not, but here is my latest creation, and I think it rocks. An Elvish LOTR Teether! Since it’s been a while since I’ve participated, here’s a summary: Illustration Friday is a website with a new topic every week, and illustrators of all skill levels are invited to create/submit a piece that aligns with that topic. It’s not a contest. It’s just for fun! Yay! Illustration Friday’s topic this week is “Mirror” — so, eventhough this is not new, I’m using this painting again. This is an oil painting of John Lennon that I did in college (2005). It’s a scene from A Hard Day’s Night. Just a heads-up to anyone who is interested — The Beatles Quilt in my Etsy Shop is ON SALE ($50 off!) until the end of September. Here are my three early Christmas present to myself — some silhouette ornaments! You can see my two boys, and our dog. I’m really excited to have these on my rustic-themed tree this year, and wanted to provide this option to my shoppers. Christmas orders could get crazy. If this is something you think you’d like, order early! The new products for today are door hangers. We have the Monsters Keep Out, and the Clean Room Set.